Acacia xanthophloea (Mukanya kudeis) is one of the ubulawu plants used by the Zulu's. Ubulawu is a term for plants that cause visionary and prophetic dreams, and allow one to connect with and receive messages from the ancestors and spiritual world. 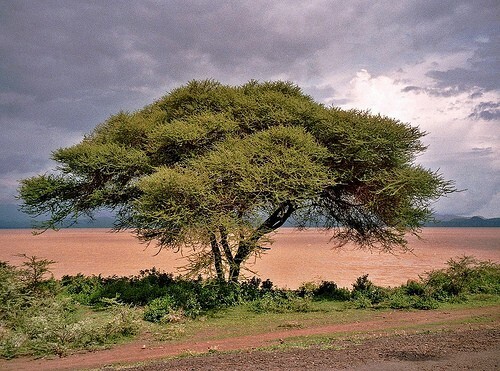 The genus name Acacia is derived from the greek word acantha meaning spine, thorn or prickle and the species name xanthophloea is derived from the greek words xanthos meaning yellow and phloios meaning bark. Human uses - The bark is used for treating fevers and eye complaints. The wood is used in building, being a hard, heavy and a useful general purpose timber; it should be thoroughly seasoned first to avoid it cracking.